Eucharist - 9" x 10"
MARY AT THE TOMB - 12" x 13"
72 pages of egg tempera icon painting collection and commentary. An exploration of women in iconography and the absence of their voices in the church and icon image. Exquisitely painted icons are juxtaposed with text describing each of the images history, religious context and reflections about the world we live in today. This book is a must for any library, for those collectors of icons and those in authority who preserve this great tradition. Mary Jane Miller's collection of new work is exquisite. Few married couples can work on the same piece with ease and grace. These two have been working together for 40 years. Their work is unique, collectible, traditional and/or contemporary iconography valued for its message of past and present, earth and divine all come together. Miller was born in NY, 1954, Valentin in 1948 in San Miguel Allende. Miller is a self-taught icon painter with over 25 years of experience, exhibiting in galleries, museums in both the United States and Mexico. She is an active member of the Anglican Church with a life long commitment to prayer and meditation. Designing your own icon for your own space is an honor. A tribute making sacred space in your home. Our work has been commissioned by churches around the US, and our collections shown in 2018, Museo Sacro, Querétaro, Texcoco Cultural Center Mexico, Museo de Leon, Guanjuato. 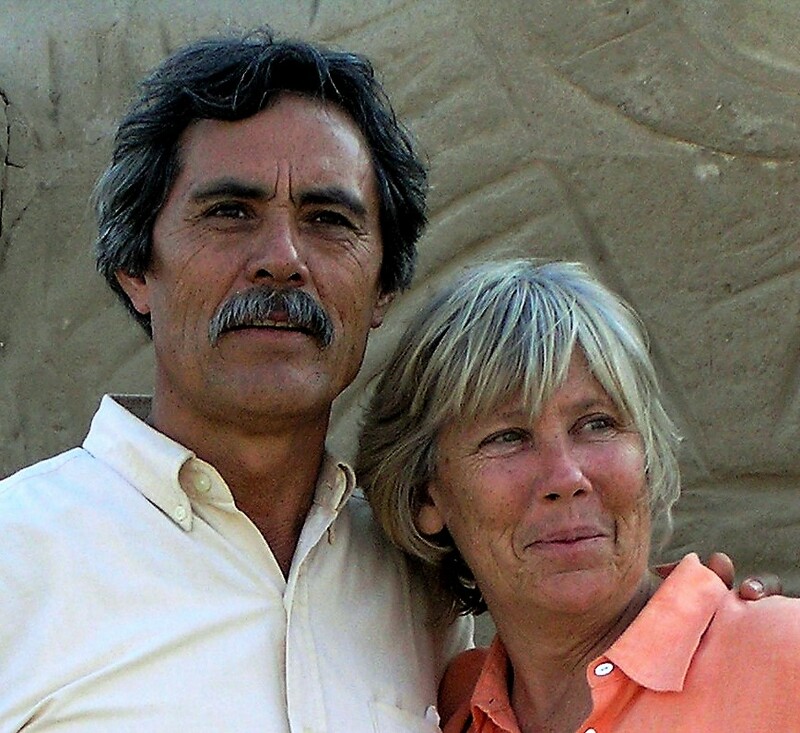 Mary Jane and Valentin are experienced and committed artists who welcome visitors to their studio for discussion and an experience of this ancient technique nearly forgotten in today's world. Their collection is vast, Valentin is a master in respouse, 100% hand tooled pewter and 23 kt gold. He is a delight to watch his hands push the soft metal with his magnificent tools. Mary Jane works with dry earth pigments brought to San Miguel from around the world. They are both master craftspeople with endless insights about life well lived. These pieces are available for immediate sale and will ship from the studio in Mexico. CLICK AN IMAGE TO PURCHASE.